Does my spouse get the house if I die without a will in Louisiana? If you’ve discovered this article through Google search, chances are you’re deciding whether or not you need to execute a will to protect your spouse in the event you pass before him/her. Louisiana succession law can be complicated. I’ll do my best to answer your questions in this article, but it’s always recommended to contact us if you have further questions or need clarification. So, let’s begin answering your questions as to “What happens if I die without a will in Louisiana?” First, you must determine how you and your spouse own property. Louisiana is a community property state, meaning that unless you executed a prenuptial agreement before you got married, you are creating community property with each purchase. That means that even though one party may be paying more or all of the bills, it is still the property of both husband and wife. Clients call me all the time to ask whether or not their spouse will inherit the home if they die without a will. It depends on a number of factors that I can explain. If you purchased the home before you were married, it is considered your separate property. Louisiana laws have determined that separate property goes to the children in full ownership if you die without a will. For example, Bill purchased a home before he married Sue. He had children that weren’t Sue’s. He did not execute a valid Louisiana will and he died intestate, or without a will. His children inherit the home in full ownership because it was his separate property. Obviously, there are a few caveats, but that’s for another article. For out next example, let’s assume Bill and Sue purchased the home together after they were married. Bill still didn’t write a will and he died and he had children that were not Sue’s. Step Children is where we see the most issues in Louisiana successions. The home is classified as the couple’s community property, however, the children still inherit Bill’s ½ of the community property even though Sue is still alive and living in the home. Wait, what?! My step-children can own ½ of my home even though I purchased it with my husband? Yes and I’ll explain why. The home in this example was purchased together after Bill and Sue were married. It was their community property and Bill did not have a will. That means that his ½ of the home will be inherited by his children because he did not state that he wanted a different outcome. If you don’t have a will, the State of Louisiana will fill in the blanks. Can my step-children kick me out of the home? Not exactly. You still own your ½ of the community property and the law gives you usufruct over his ½. That allows you to stay in the home and “use” his half. They could force you out if the home were his separate property, but since they purchased it during the marriage, it’s considered community property in Louisiana. Usufruct means “use.” It essentially gives you the use of the other half of the property while his children are what’s known as naked owners. They own his half, but you are allowed to possess it and use it as you see fit. How long does usufruct last in Louisiana? Here’s the tricky part: the way the law is written gives you either until you remarry or die. Basically, your “use” of his ½ of the marital home will expire if you remarry and his children will be able to force you to either purchase it or move out. I don’t like that outcome, what can be done? In this example, nothing can be done because Bill had already died. If you want your spouse to be able to use your ½ of the community property for life, you can state in your Last Will and Testament that you desire your spouse to have a lifetime usufruct. That is if you still want your children to inherit your portion once your spouse dies. What if I want my spouse to inherit my property in full ownership? You can do exactly that! You would need to state your wishes in a Will or else the State of Louisiana will make the decision for you and your surviving spouse may have to make some uncomfortable decisions. How do I choose whether to give my spouse usufruct over my portion or full ownership? That depends on if you want your half of the home to revert back to your estate when your surviving spouse dies. Let’s do one more example to help you make this decision. It involves step-children on both sides. Example: Bill and Sue married and each had children from previous marriages. Bill dies first and dies intestate (no will). Sue is granted lifetime usufruct over his ½ of the home and lives there until she dies. Her ½ goes to her children and Bill’s ½ reverts back to his children. A lot of people like to plan their estates this way to bring property back to their estate once their surviving spouse no longer has a use for it. Had Bill given her the property in full ownership through a valid Louisiana Will, her children would have inherited the home in full ownership and Bill’s children would not have gotten his ½ years down the road. Many of our clients use the lifetime usufruct to ensure their children get the benefits of their property once their surviving spouse dies to the exclusion of their step-children. Louisiana succession law and estate planning can be complicated. It’s important to speak with a licensed Louisiana attorney that understands the intricacies of intestacy law and will sit with you and explain your options. 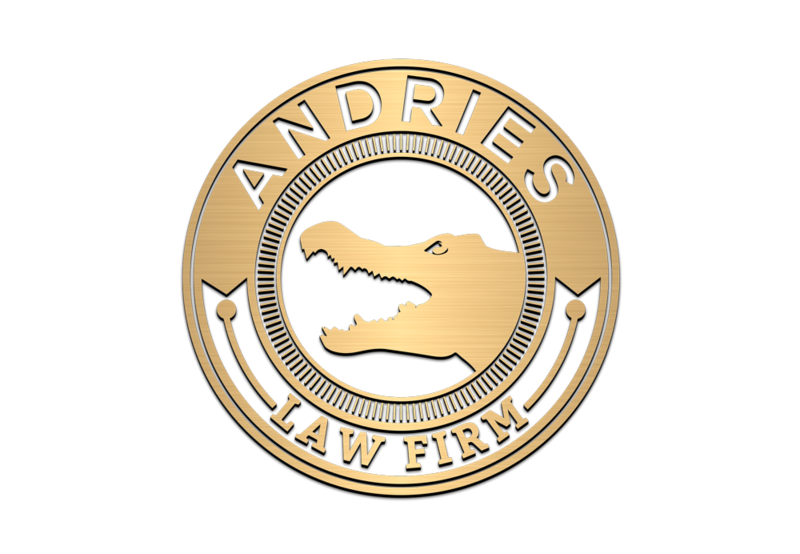 The Andries Law Firm can do exactly that! Call to set up an appointment. Similar Louisiana Succession Articles: Louisiana Intestate Law Primer, Succession Law, What is a Usufruct?, Forced Heirs: Can I Disinherit my Children?